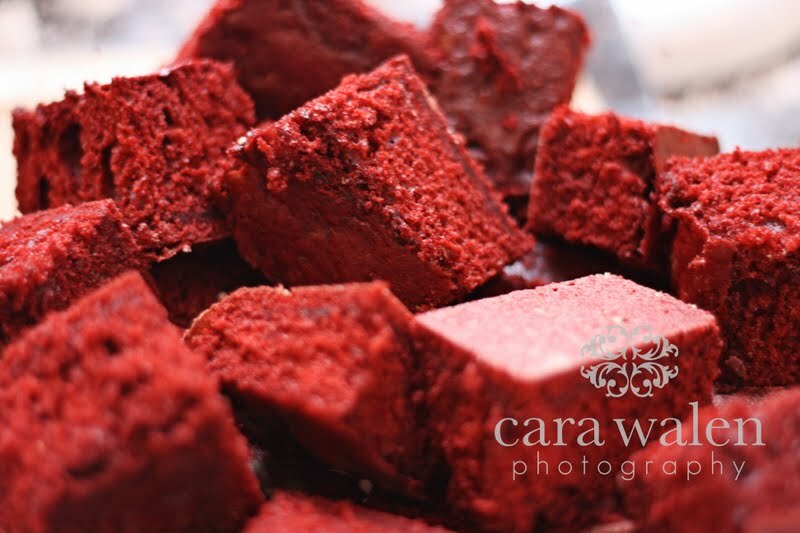 cara walen photography: Where did Red Velvet Cake come from? And why am I so obsessed with it? Where did Red Velvet Cake come from? And why am I so obsessed with it? Maybe it was a few years ago. I had a slice, obviously, somewhere. 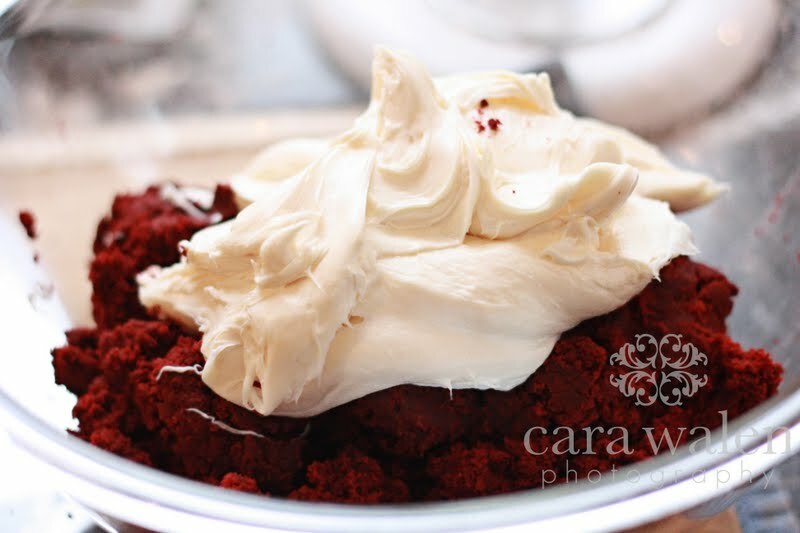 The most luscious red cake slathered with a heaping of zippy cream cheese icing. 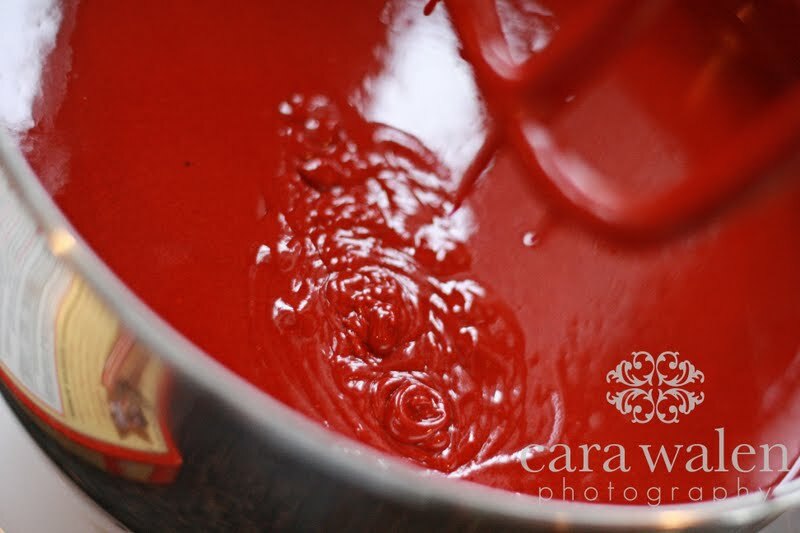 Hell, even the name is crazy and vampy: Red Velvet. Honestly it sounds like a stripper name. But let's face it, it's a cake that can stop traffic. The layers are an improbable red that can vary from a fluorescent pink to a dark ruddy mahogany. The color, often enhanced by buckets of food coloring, becomes even more eye-catching set against clouds of snowy icing, like a slash of glossy lipstick framed by platinum blond curls. Lately my favorite use for this cake is to follow the queen of southern comfort food - Paula Deen. 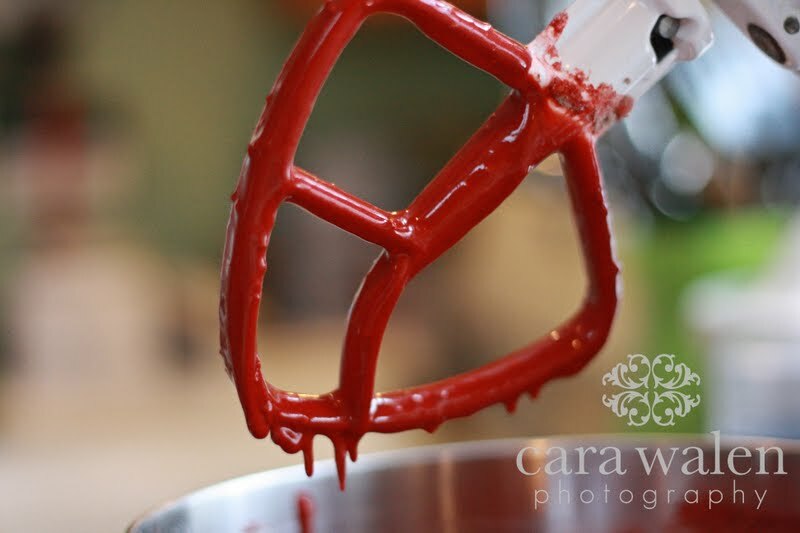 Her red velvet cake balls are so decadant and ridiculously good. Don't even bother to think about calories or fat. Just enjoy. Then go to the gym.